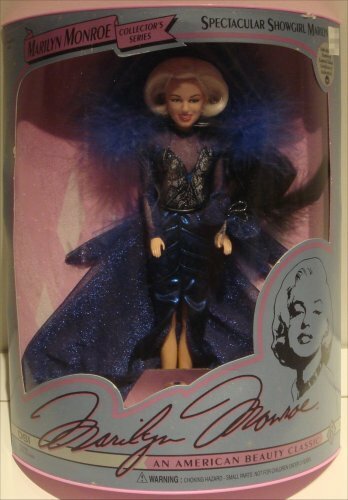 From the 1993 Marilyn Monroe Collector’s Series, “Spectacular Showgirl Marilyn”. Marilyn is simply spectacular in her show stopping extravaganza of beautiful glimmering blue and boa. Approximately 13″ tall. Marilyn Monroe – an American beauty classic.